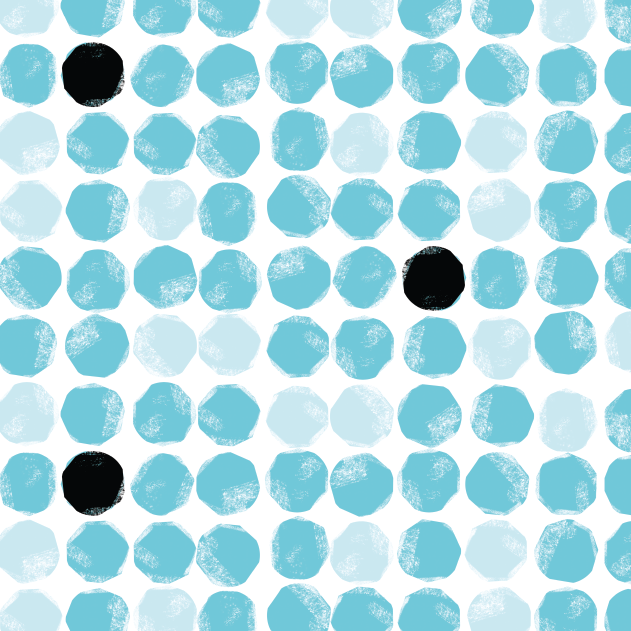 A fresh pattern of casually painted blue circles with an occasional black circle to add a little whimsy. 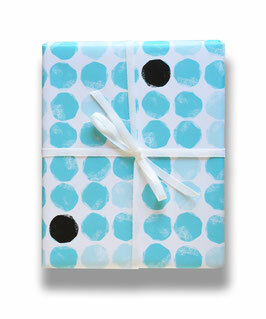 Some folks have even framed a sheet of this gift wrap for a retro-style print to enliven any room. Groovy!